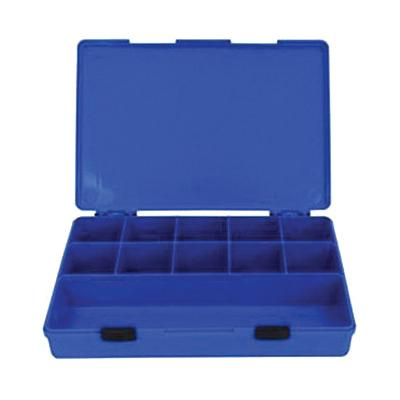 Rolacase Quick kit case in blue color, is a storage system for the transfer and handling of components, tools and instruments. It measures 1-31/32-Inch x 8-17/64-Inch x 12-13/64-Inch. This corrosion-proof quick kit case has 10 small compartments and one large tool compartment in front of the case. It features sturdy locking system and a lid that keeps storage locked in place.